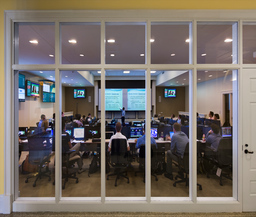 William & Mary’s Raymond A. Mason School of Business educates the next generation of leaders by offering a highly personalized, experience-based learning environment that fosters team-building skills, self-reliance, an entrepreneurial spirit and ethical character. 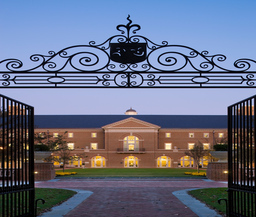 The College of William & Mary, founded in 1693 is the second oldest educational institution in the United States. 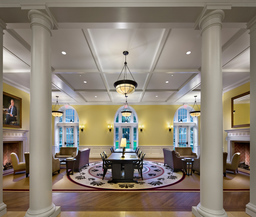 Alma mater of three presidents (Thomas Jefferson, James Monroe and John Tyler) and countless other Republic luminaries, the College offered its first business class in 1798. The College established the Master of Business Administration in 1966. 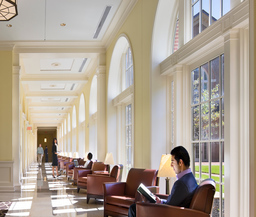 The Raymond A. Mason School of Business has deep roots in the history and traditions that have made the College of William & Mary one of the most distinguished liberal arts universities in the nation. The school’s missions is to educate the next generation of business leaders by offering a highly personalized, experience-based learning environment that fosters team-building skills, self-reliance, an entrepreneurial spirit and ethical character. Flex-MBA: a part-time evening Master of Business Administration designed to provide flexibility for working professionals. Executive MBA: 19-month Master of Business Administration. Meets on weekends twice a month. Includes three domestic residency periods and an international business practicum. Online MBA: 20-month online Master of Business Administration designed for working professionals who are looking for a revolutionary yet highly flexible program. 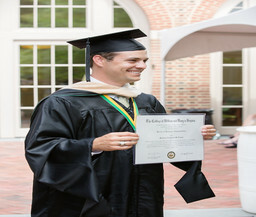 The William & Mary School of Business launched its new Entrepreneurship Center on October 29, 2010 with revolutionary discussions on healthcare, family business, real estate and social entrepreneurship. Professors at the Mason School of Business received an "A+" in the BusinessWeek ranking of faculty and they are perennial top ten in Princeton Review's Best Professor category. The College of William & Mary is “the second oldest college in the Nation.” Its “placement in the historic triangle offers students the opportunity to learn where Thomas Jefferson studied” as well as walk “the streets where the ideas of America were founded.” MBAs appreciate the “amazing history” of the Raymond A. Mason School of Business at the College of William & Mary, “the quality instructors, the scope of the courses that are taught” and “the quality connections the school has in the business community.” Many students are first dawn to the program because of its strong reputation and “high prestige” but stay because of the “strong academics,” “collaborative culture” and the “focus on leadership development.” In addition, the program is military-friendly and features a flexible schedule for part-time and non-traditional students, including weekend and night classes, as well as a newly launched online MBA program. 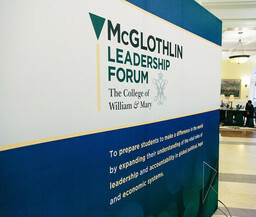 Students say the “program has a ‘small school’ feel but [the] degree has a ‘big school’ impact.” It is easy to see the appeal of a program that many students call a “private-school experience” without having to pay “private-school level tuition.” MBAs agree that the “price, location and reputation” make this a great program. The Graduate Career Management Center cosponsored a student trip, tour and presentation of a bcorp manufacturing company that manufactures organic mattresses this year.We also provided stipends and staff support this year for students who wanted to attend the net impact conference. The Graduate Career Management Center also continues to host, on campus, a range of companies from the sustainability area. 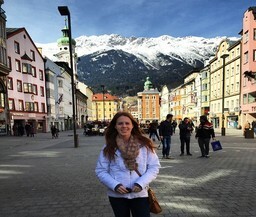 Net Impact Club is focused on sustainability issues for MBA students. This club works closely with our Undergraduate Business students. 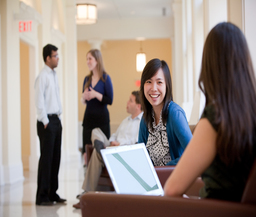 William & Mary Mason Career Services (MCS) begins in the first-year core curriculum with in-class and out-of-class long-term, ongoing, career-management strategies, taught by MCS professionals. MASONlink, CareerLeader, Power Pitches, ProNet (The Mason Professional Network), Career Treks and the Executive Partner Ambassadors program are innovative career services. The Mason Career Services team is available to assist with resumes, interviews and internship, career and job search management. Walk-in hours, Quick Question Time (QQT) and individual appointments are available. The base salary for full time MBA graduates averaged $77,990. Within three years of grad- uating, students averaged a 50 percent increase in salary. At least 33 percent of Executive MBAs go on to start their own business, and an additional 26 percent of graduates were offered promotions after graduating. The majority of MBAs went into consulting, followed by the financial services industry and commercial and professional services. President, Cornell Dubilier Electronics, Inc.
Every new entering student is automatically considered for merit-based scholarships, leadership awards and graduate assistantship. 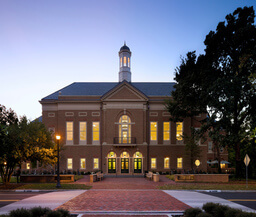 The Full-time MBA Program has a diverse student body that unites in a collegial team-centered living/learning Mason School community. Students note that the “town of Williamsburg is beautiful and filled with history, as are the grounds of this amazing school.” “There is plenty to occupy yourself [with] inside and out- side the business school.” In addition, students say the community is “friendly” and note that “the town heavily supports the college.” The proximity to D.C. is also appreciated. The campus, comprising approximately 1,200 acres of land, extends from the western edge of the restored area of Colonial Williamsburg to Lake Matoaka and its surrounding wooded land. 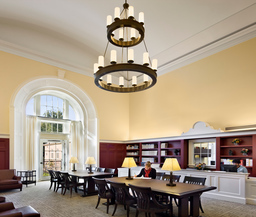 Consisting of approximately 6,301 undergraduates and 2,183 graduate students, William and Mary is a university community – small enough to provide for relationships that allow collaborative teaching and learning, large enough to have the resources to achieve excellence. Williamsburg’s proximity to Richmond, Norfolk and Virginia Beach and Washington, D.C. allow students to partake in a vibrant business, political and cultural life. 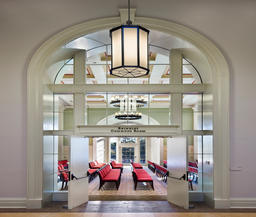 The Raymond A. Mason School of Business dedicated its new home, Alan B. Miler Hall, with a public ceremony on October 2, 2009. 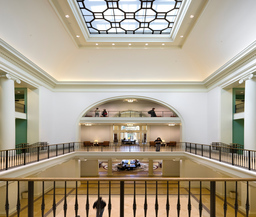 Miller Hall, designated as a Gold LEED Certified building, demonstrates the College’s commitment to innovation, entrepreneurial spirit, vision and sustainability. Boehly Center: Founded in 2014, the Boehly Center for Excellence in Finance prepares students for careers of principled achievement in finance. The Center not only delivers innovative courses taught by industry leaders, but also boasts an array of experiential learning opportunities that are second to none. Alan B. Miller Entrepreneurship Center: Forged out of the Mason School’s commitment to revolutionary thinking, the Alan B. Miller Entrepreneurship Center is creating a dynamic community of innovators and visionaries who are redefining the future of business. 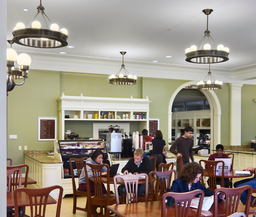 Launched in 2010, the Center provides a combination of academic programs, clubs, and activities that transforms students into successful and principled entrepreneurs. Jim and Bobbie Ukrop Innovation & Design Studio: The Innovation & Design Studio provides students with tools and activities to explore the role of creativity in business. 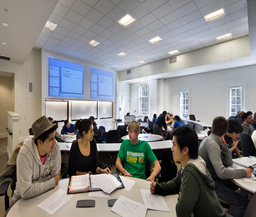 Featuring movable whiteboards, open spaces and unique problem-solving tools, the center enables students to tap into imaginative ideas and think beyond the usual boundaries.